Gateway Motorsports Park is proud to welcome The Band STEELE (www.thebandsteele.com, https://www.facebook.com/TheBandSteele/, @TheBandSteele) to its NASCAR Camping World Truck Series Drivin’ For Linemen 200 Brought To You By Altec this weekend. STEELE will perform at 8 p.m. on Friday during the fanfest known as Party at the ‘Plex in the infield of the superspeedway. They also will entertain fans on Saturday at 1:45 p.m. during the NASCAR driver autograph session. Bo Steele will sing the national anthem prior to the start of the NASCAR race. The duo STEELE is made up of high school friends Bo Steele and Ben Rubino. They began playing music together at age 14 in Alabama and are singer/songwriters who believe very strongly in sharing their life experiences with their fans through music. The duo has explored various genres of music and have evolved into the artists they are today by being true to themselves and their fans. This is evident in their songs, which tell stories of life, as they know it, as musicians and at home in a small town in rural Alabama. Bo and Ben achieved a tremendous amount of internet attention when a video of Bo singing in a hospital waiting room went viral. It has reached well over 1.5 million views and is still garnering incredibly inspiring positive comments daily. The pair made their television debut on WHNT-TV in Huntsville, Alabama, where they had become local celebrities. The duo were also featured on the Rick and Bubba Show, a nationally-syndicated radio talk show — where their music was aired and chosen by listeners as “keep it,” a radio success! The duo was so moved by the story of a 10-year-old girl from Kentucky who tragically was killed by a drunk driver that they were inspired to create a charitable release of a single called Destiny. This song was written in support of the Destiny’s Hope Foundation, a charity created to help families of children who were killed or seriously injured due to the actions of a DUI driver. STEELE’s music has evolved over the last few years into a modern country sound that has the music industry buzzing. 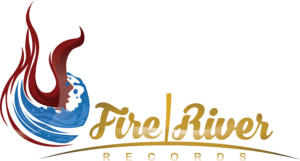 In 2014, the duo caught the ear of industry executives including independent record label Fire River Records, who signed the duo to a multi-album record deal. The label also signed STEELE to a major motion picture, Life on the Line, starring John Travolta, Kate Bosworth and Sharon Stone. This fantastic opportunity allowed them to have an original song performed in the movie, set to be released in late 2016, and on the original motion picture soundtrack, alongside some of today’s top country music artists. With their unique combination of astonishing vocals and unforgettable melodies, they bring a captivating and surprising burst of modern country/rock flavor to today’s country music scene and to fans of any musical genre. The NASCAR Camping World Truck Series Drivin’ For Linemen 200 Brought To You By Altec will be joined by the Illinois Lottery Presents ARCA Midwest 50 and the Vatterott College Silver Crown Showdown for USAC open-wheel racers. Spectator gates will open at 8 a.m. with the NASCAR race slated for 7:30 p.m. The inaugural Climbin’ For Linemen competition will start at 9 a.m. in the speedway’s infield. To purchase tickets or obtain additional information, please call GMP at (618) 215-8888 or visit www.gatewaymsp.com. Follow GMP on Facebook, Instagram, Snapchat and Twitter. 5-6 p.m. — NASCAR garages open to the public. 6-10 p.m. — Party at the ‘Plex at the Gateway Kartplex — performance by STEELE, kart racing, entertainment. NASCAR drivers have been invited to participate. 8 a.m. — Spectator gates open. 8:30-9:25 a.m. — First NASCAR Camping World Truck Series practice. 9 a.m. — Inaugural Buckingham “Climbin’ For Linemen” competition (infield near Turns 3 and 4). 9:30-10:20 a.m. — First USAC practice. 10:30-11:55 a.m. — Final NASCAR Camping World Truck Series practice. 12:30 p.m. — USAC qualifying. 1 p.m. — ARCA Midwest Tour practice. 1:45-2:30 p.m. — NASCAR Camping World Truck Series driver autograph session (infield area). 1:45 p.m. — STEELE performs during driver autograph session. 2:15 p.m. — ARCA Midwest Tour qualifying. 3 p.m. — USAC driver introductions. 3:30 p.m. — Vatterott College Silver Crown Showdown (USAC Silver Crown Series, 60 laps, 75 miles). 4:45 p.m. — NASCAR Camping World Truck Series Drivin’ For Linemen 200 Brought To You By Altec qualifying (multi-vehicle, three rounds). 6 p.m. — Illinois Lottery Presents ARCA Midwest 50 (40 laps, 50 miles, timed event). 7 p.m. — NASCAR Camping World Truck Series Drivin’ For Linemen 200 Brought To You By Altec driver introductions, followed by national anthem, sung by Bo Steele of STEELE. 7:30 p.m. — NASCAR Camping World Truck Series Drivin’ For Linemen 200 Brought To You By Altec (160 laps, 200 miles).